If your organization is fortunate to remain in business long enough, you will undoubtedly face some form of disaster. This could be a natural disaster (earthquake, flood, hurricane or winter storm) or a man-made disaster (chemical spill, cyber attack or power service disruption and blackout). Regardless of the type of disaster your practice or ambulatory surgery center (ASC) encounters, you need a plan to recover from it. 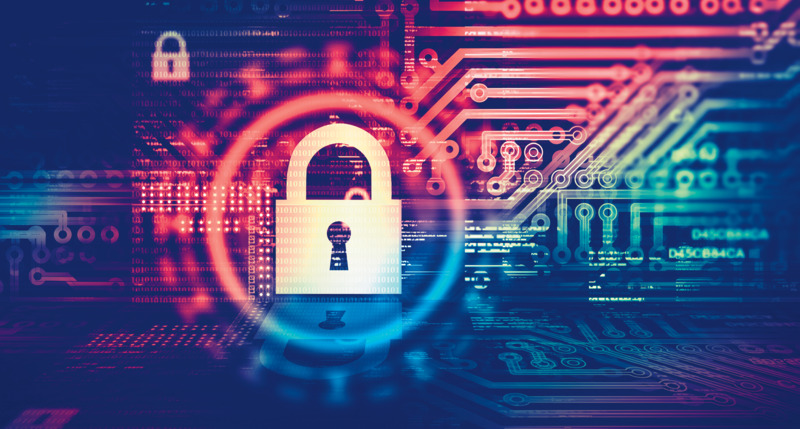 Without an effective recovery plan, business continuity efforts could be significantly hindered, stalling the return to normal operations or, in the worst-case scenario, leading to the closing of a business. 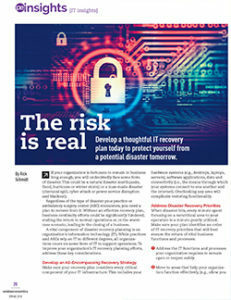 A vital component of disaster recovery planning is an organization's information technology (IT). While practices and ASCs rely on IT to different degrees, all organizations count on some form of IT to support operations. To improve your organization's IT recovery planning efforts, address these key considerations. Make sure your recovery plan considers every critical component of your IT infrastructure. This includes your hardware systems (e.g., desktops, laptops, servers), software applications, data and connectivity (i.e., the means through which your systems connect to one another and the internet). Overlooking any area will complicate restoring functionality. Address the IT functions and processes your organization requires to remain open or reopen safely. Move to areas that help your organization function effectively (e.g., allow you to move from paper back to electronic documentation). Address the areas that enhance productivity and the work environment but are not necessary for efficient business operations. If IT recovery efforts require outside vendor support, the faster you want to recover, the more you are likely to pay for services. Reduce expenses by identifying areas where you can afford to move more slowly. Speak with vendors about different options for restoring IT infrastructure following varying degrees of damage. Match allocated resources to recovery time objectives for your business functions. While it will likely make sense to budget (i.e., pay a premium) for an expedited recovery of your time-sensitive business functions, you can likely push other areas down the list. Your plan should consider the IT abilities of individuals on your staff, particularly designated IT specialists. Understand what recovery skills these team members bring to the table. These individuals must be honest about their abilities. They may feel comfortable set ting up a new desktop, but installing a server could put their skill limits to the test. For areas of high priority, the risk of placing a task in the hands of an uncertain staff member may not be worth the potential savings, as any shortcomings will require external support. Keep in mind there is no guarantee your in-house IT specialists will be available when a disaster hits. Include a backup plan in your recovery plan.